Hello, I am Councillor Kathleen Leslie. 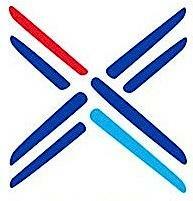 I am a Scottish Conservative & Unionist Party elected member to Fife Council. The Ward I represent consists of Burntisland, Kinghorn, Western Kirkcaldy and Auchtertool (Ward 9). I was elected on May 4th 2017 and represent all those across my Ward - both those who did and those who did not vote for me.